Go beyond gyros and kebabs. (SPOT.ph) Fun fact: Mediterranean cuisine spans different countries and continents, all of which surround the Mediterranean Sea—and it’s not just all about Greek or Italian food, it also features cooking from Cyprus, Turkey, Jordan, Lebanon, and Syria. Yes, there’s more to Mediterranean food than just gyros and kebabs! The Metro has all these specialties if you’re willing to look. We’ve scoured all the best dining spots in Manila where you can indulge in this under-the-radar cuisine that has some of the best food in the world. Time to try something new! 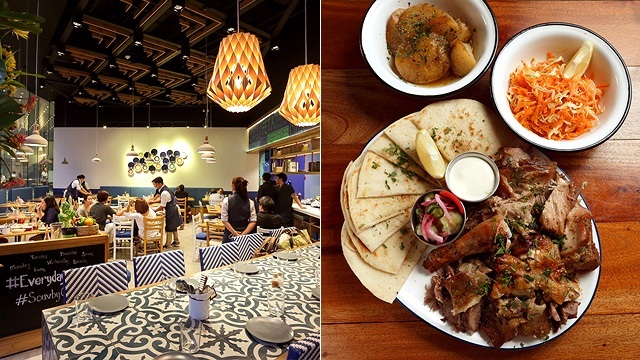 Cyma has branches at Greenbelt 2, Ayala Center, Makati City; Trinoma Mall, Bagong Pag-Asa, Quezon City; Shangri-La Plaza Mall, Ortigas, Mandaluyong City; Eastwood Mall, Libis, Quezon City; and Robinsons Place Manila, Ermita, Manila City. Their blue-and-white interiors will make you think of the colors in Santorini, but it’s Feta Mediterranean’s food that will transport your taste buds to the popular destination. If you’re a fan of lamb, go for the Shank (P560), which is slow-simmered with fresh herbs. It doesn’t have that gamey taste, and it’s made more filling with your choice of side—mashed potato, rice, or salad. The Lahmacun (P160) is also worth a try: the thin-crust pizza is topped with minced meat and veggies that are accentuated with herbs and spices, and then served with lettuce, onion, tomato, and lemon. It’s a fresh take on the typical pizza. 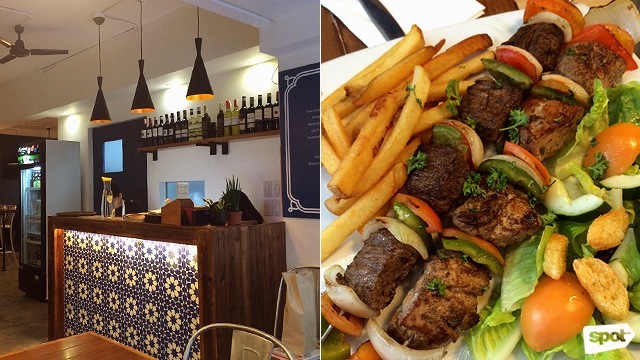 Feta Mediterranean is at G/F Intrawest Center, 101 Annapolis Street, Greenhills, San Juan City. If the best-selling starter, Sultan’s Signature Hummus Dip (P125), would be any indication, then Sultan Mediterranean Grill’s cuisine won’t let you down. Aside from this tasty housemade chickpea blend, The Sultan’s Kebab Platter (P595) will satisfy your cravings for grilled meat. 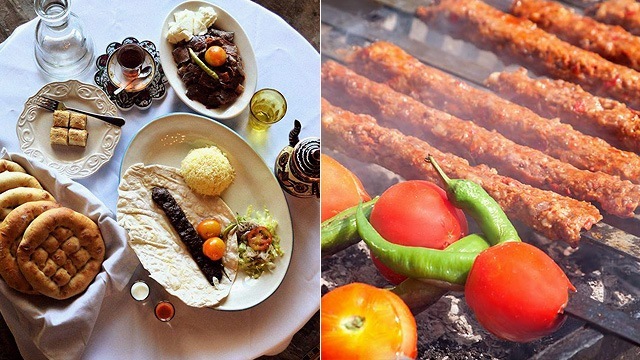 It’s a combination of your choice of four kebabs and koobideh, which are served with grilled tomato and a delicate shirazi salad. Sultan Mediterranean Grill has branches at Valero Plaza Condominium, San Agustin Street, Salcedo Village, Makati City; 190 A. Wilson Street, San Juan City; Victory Plaza, 1 Brixton Street, Kapitolyo, Pasig City; The Corner Market, The Podium, Ortigas, Mandaluyong City. With the claim that Kos Greek Ouzeri is the only restaurant in the Metro that uses authentic Greek lamb butter, you know you just have to order something that highlights this star ingredient. The Spanakopita (P145) is one such decadent dish, with a spinach and feta cheese phyllo pastry that’s brushed with the rare butter. They make everything from scratch at this restaurant; even their sourdough breads are made the traditional way. End your meal with coffee prepared in a briki (a steel pot with a long handle) and pair it with classic desserts such as baklava or Greek yogurt with honey. Pro tip: Get unlimited breads and pita with the dip sampler! Kos Greek Ouzeri is at G/F UP Town Center, Katipunan Avenue, Diliman, Quezon City. The Café Mediterranean has practically been an institution since it opened in the mid-'90s, back when most weren't yet too familiar with Mediterranean cuisine. Their extensive menu includes kebabs, couscous, gyros, and more, and it continues to evolve to this day. 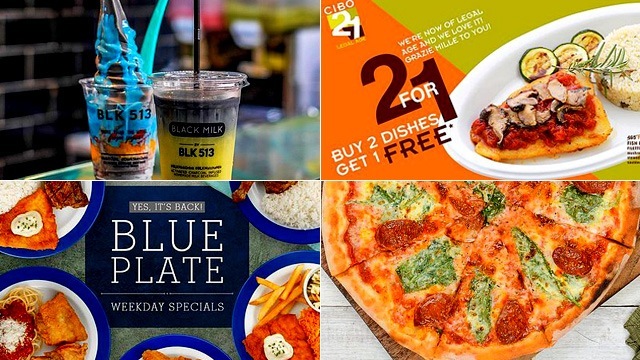 They’ve got a warm bowl of Lentil Soul (P320) that’s bursting with flavor, a Kofta Burger (P325) that has a mix of spicy grilled beef and lamb patty, and even Gyro Pizzas (P465/tuna, P435/chicken, P475/beef, P595/lamb), which are served with a dollop of tzatziki and homemade pickled chilies. There really is something for everyone here. 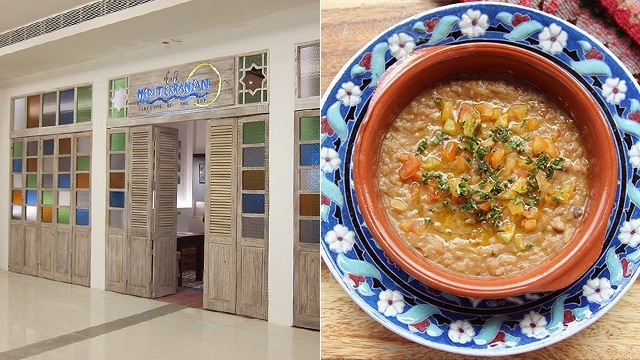 The Café Mediterranean has branches at Power Plant Mall, Rockwell, Makati City; Greenbelt 1, Ayala Center, Makati City; Alabang Town Center, Alabang, Muntinlupa City; Estancia Mall, Capitol Commons, Oranbo, Pasig City; The Podium, ADB Avenue, Ortigas Center, Mandaluyong City; and Entertainment Mall, SM Mall of Asia, Mall of Asia Complex, Pasay City. At this Greek-inspired restaurant, you’ll find Mediterranean touches just by looking at the décor that features eye-catching, colorful hanging lamps. Greeka Kouzina’s menu is just as vibrant, from the fresh salads to the meat dishes that are all good for sharing. A popular option is the Krasates (P595), a hearty plate of two grilled pork chops, made tastier with a blue-cheese walnut spread and their signature gravy. But what the restaurant really prides itself in is the Arni Lemonato (P695), a five-hour roast lamb served with gravy and a tangy lemon-mint sauce. 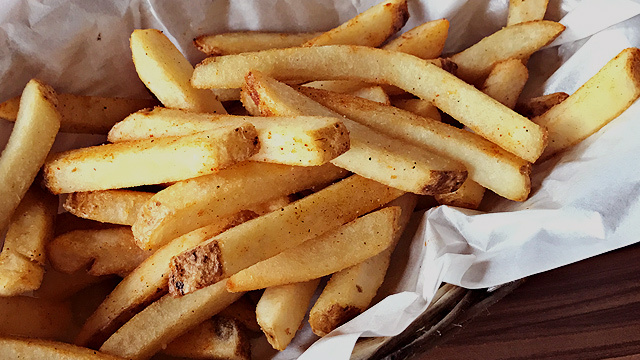 Just one bite and you’ll know why it’s one of their bestsellers! Greeka Kouzina has branches at SM Aura Premier, Bonifacio Global City; TCC Building, 190 D. Tuazon Street, Santa Mesa Heights, Quezon City; 285 P. Guevarra Street, Little Baguio, San Juan City; and D-Strip Building, 20 United Street, West Capitol, Kapitolyo, Pasig City. This hole-in-the-wall in Makati is a hidden gem, and a favorite of foodies who are adventurous enough to try anything new. Take your pick from any of the restaurant’s namesake dishes, or simply go for the classic and flavorful Hummus Elijah (P250), which features their signature hummus with tahini, topped with chickpeas, olive oil, herbs, spices, and two warm pita breads. The other versions are also worth trying, with mushrooms, fava beans, pine nuts, or lentils. Also worth the drive (and traffic!) 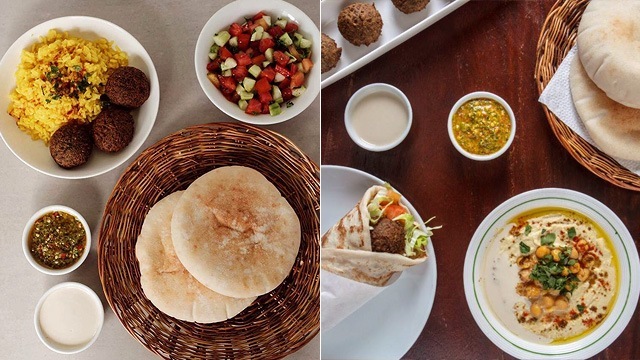 is the Falafel Sandwich (P180), another vegetarian-friendly dish that has deep-fried mashed chickpeas wrapped in pita bread, and served with fresh salad. Hummus Elijah is at 2/F Commercial Building, 7850 Makati Avenue, Poblacion, Makati City. 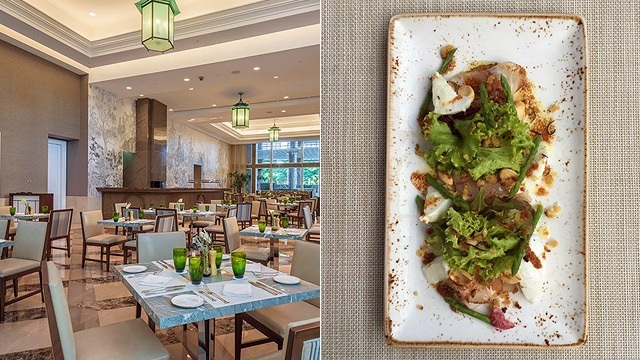 Perhaps what sets Tapenade apart from other Mediterranean restaurants in the Metro is The Salad Room (P620), which is literally a buffet room filled with not just your average greens, but also indulgent seafood (hello, oysters and salmon gravlax! ), curated cheeses and cold cuts, as well as freshly baked breads and dips. But if you prefer something lighter and à la carte, you can have the Stone-Baked Feta Cheese (P460), which is cooked daily in their brick oven and served piping hot. They’ve also got Moroccan tagines and kebabs if you’re up for some unique new flavors and spices. Tapenade is at Discovery Primea, 6749 Ayala Avenue, Urdaneta, Makati City. 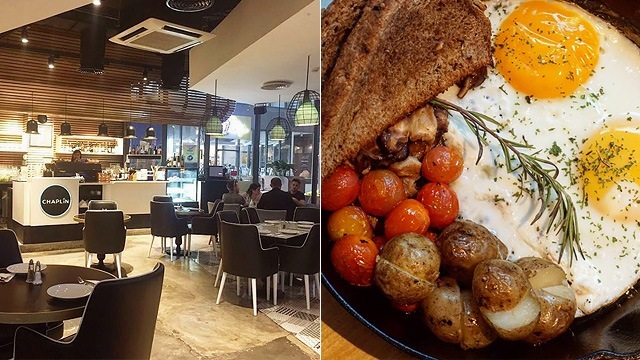 It’s not every day you come across a contemporary Israeli café and restaurant in the Metro, so when you do, you just have to let your palate go on a food adventure. Try the tomato-based egg dish called Shakshouka (P445) if you want something to warm your belly; the Black Olive, Eggplant and Feta (P445) if you want something light, or the Meatball (P435) version if you’re looking for something savory that will fill you up. The menu also has Western options like burgers and pizza, but stick to the Mediterranean specialties like shawarma and kebab for the real deal! Chaplin is at 4/F Roof Deck, Century City Mall, Kalayaan Avenue corner Salamanca Street, Poblacion, Makati City. SOUV by Cyma is a modern Greek restaurant from the same group that brought you Cyma and Green Pastures. If you’re a Greek-food newbie, start with some of their homemade dips and pitas (the Greek nachos are yum-o! ), but make sure you have room for their exciting entrées like the Angus Beef Short Rib (P1,250), which is braised and grilled to achieve that oh-so tender texture. Add some gremolata and a squeeze of lemon, then savor every bite. 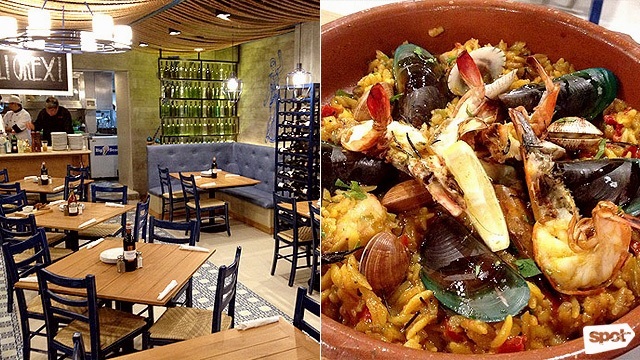 Another must-order is the Yiouvetsi, or Greek-style paella that you can either get with Lamb (P850) or Seafood (P850) depending on your preference. It’s a feast for the eyes—and the palate! 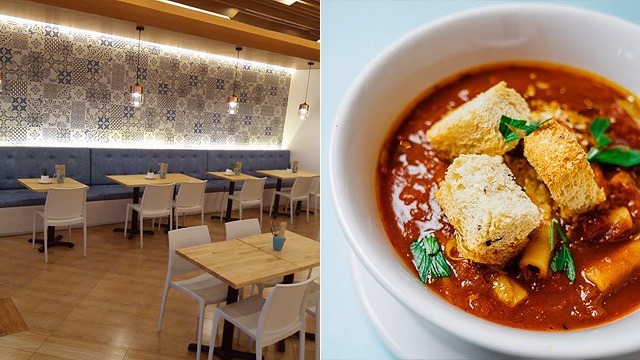 SOUV by Cyma is located at G/F Net Park, 5th Avenue, Bonifacio Global City; 3/F The Podium, ADB Avenue, Ortigas Center, Mandaluyong City; and Molito Commercial Complex, Alabang, Muntinlupa City.